Standing in the shadow of the keep in the inner ward, looking at the inner gatehouse. 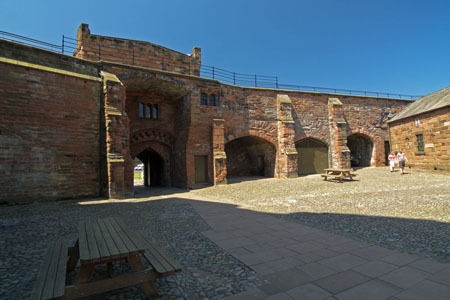 Carlisle Castle. the gatehouse may also have had a drawbridge.